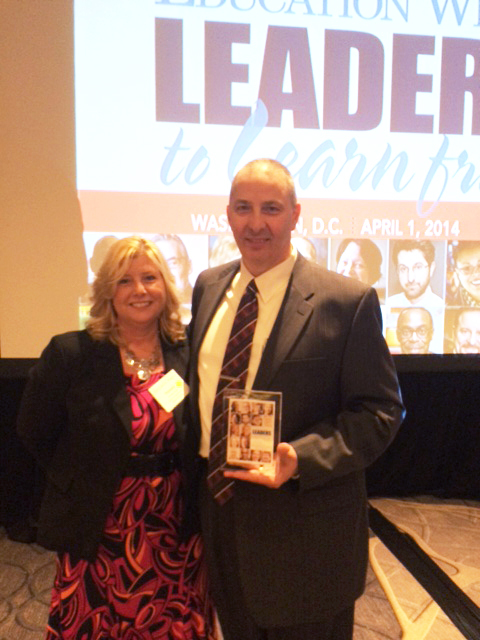 My good friend Dan Walker was recently honored as one of Education Week’s 2014 Leaders to Learn From for his outstanding work connecting the students at Lower Kuskokwim School District (LKSD) with high quality learning programs. Dan understands the technological challenges associated with providing quality education to 4,000 students spread out over 23 small, remote communities throughout Bethel, Alaska – 400 air miles west of Anchorage on the coast of the Bering Sea. As the Assistant Superintendent for LKSD, Dan has spent the vast majority of his career using technology to solve education problems through STEM programs, including being an advocate for his students in the Alaska Native Science, Engineering and Math program. LKSD is roughly the size of West Virginia or Ohio with only 4,000 K-12 students in 27 schools, ranging in size from 15 to 520 students. Its 23 communities are accessible only by plane with a population that is 95% Yu’Pik. Approximately 90% of the population lives at or below poverty level, and many students are largely deficient in English and math. In partnership with GCI SchoolAccess, Dan has implemented the state’s largest distance education program through video conferencing to ensure that all students across the district have access to the same educational opportunities and that their education is on par with students in more urban environments. Each school has direct access to the teaching studio in Bethel and fellow schools within the district so they can receive instruction from highly qualified teachers in math, science, Alaska native language, and more. Students from LKSD participate in district-wide programs and nationwide competitions without having to leave their homes in remote villages. These programs include eJournalism, a summer film academy, a Yu’Pik eBook creation program, the FIRST LEGO League, Robotics League competitions, and more. Dan works to secure funding through grants to provide students with computers and other technology tools they – and their families and neighbors – would not otherwise have access to. He began the first one-to-one laptop program in LKSD, eventually having a laptop for all students in 5th through 12th grades. Dan has also worked to improve the technology infrastructure to allow continual advancement for LKSD’s technology program. He moved the district from satellite-based Internet connectivity to a terrestrial system that has greatly increased the reliability of Internet access for all students and staff in LKSD. Dan’s work has had both quantitative and qualitative impacts on the students in his district. Students’ math proficiency and test scores have improved, partly leading to additional students qualifying for state scholarship programs. In addition, traditionally shy children are creating their own study groups over videoconference, formerly struggling students are making a connection between their education and future careers, and students who revert to the traditional subsistence ways of the Yu’Pik culture have turned to more advanced technology to hunt, fish, and gather. Do you know of any schools that are delivering high quality learning to students despite technological challenges? Please share your comments. You can also chat with me on Twitter at @plloyd.